NetCat content management system has been known in the market since 1999, it is one of the oldest systems. It offers at once several editions with different price and functionality to its users. NetCat is used for both standard blogs and multi-functional projects. Increasingly, modern websites prefer to hold visitors by beautiful images instead of texts. This supposedly winning strategy has a reverse side. The more images are on webpage, the longer it is loaded. In addition, many administrators and website owners do not even think about the necessity to optimize the file sizes. Image compression in NetCat is used rarely and only in the manual mode. OptiPic plug-in for image compression in NetCat will help to automate the optimization process. The solution uses its own algorithm that allows compressing files by 50-70%. Although the file size gets reduced almost twice, its quality is not changed. The plugin for image compression in NetCat can be installed and configured in a few clicks. Its operation is completely automated and does not require further intervention. Website performance improvement due to image compression in NetCat is visible even during the first hours of using OptiPic. How can optimizing images for NetCat speed up a site? 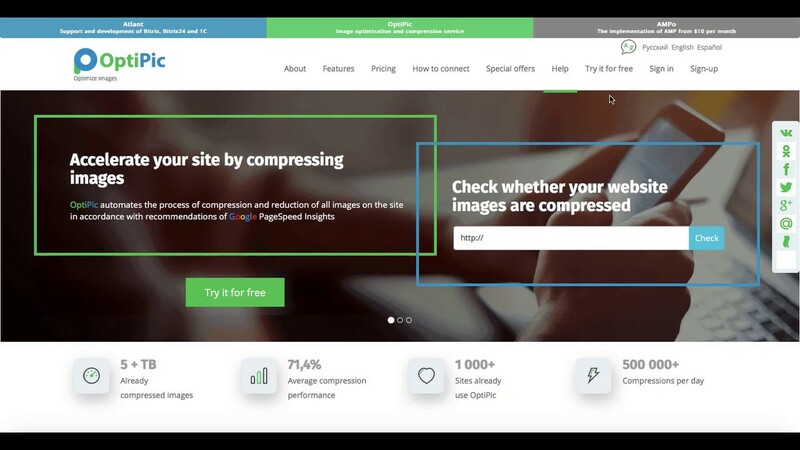 How to get started with OptiPic service for NetCat for image compression?